Whether or not you make it to the page, in what ways do you welcome the creative process in your day-to-day? My new thing, which is no longer new, is making drawings and watercolors. Unlike writing, which can take a very long time, you can make a drawing, add watercolors, and finish it in less than an hour and have something beautiful. I have taken to framing some of my pieces and hanging them on my walls. This seems awfully vain and I am self-conscious when people come over, but otherwise they bring me pleasure. The interesting thing about now having two creative outlets—writing and drawing—is that I have two ways to feel bad when I’m not creative. I love to write but it’s not part of my day to day. Actually, I do keep a journal, but I don’t consider that writing. How do you manage fear and doubt, whether in your writing or life in general? I live with the fear and the doubt. We co-exist. It tends to come in the middle of the night and that’s when the fear talks the loudest. Then in the morning, nothing that seemed so scary is actually that scary. I wake up my daughter and the cats jump on her bed and everything is so instantly, wonderfully happy. I tend to appreciate the small moments. I love walking Nina to the school bus in the morning, relish getting there on time, and then watching her play with her friends before the bus comes. That feels like success to me. I am also so glad to have gotten cats. They tend to come and jump in your lap in the midst of a bad moment, demanding to be pet. After I finish something, I go through long stretches when I don’t write. Finishing novels is the worst. Yes, it is wonderful to finish a book, but I love being in the middle of a project. I love waking up and knowing what I’m working on and where it’s going. I know that I feel better when I am writing—and still, often I don’t write. Sometimes, it becomes almost a game. Let’s see how bad you can feel not writing, let it get bad, really bad, build and build, until finally I start writing. This is not a method I recommend. Which one word, image, sound, feeling, or memory encapsulates the act of writing for you? 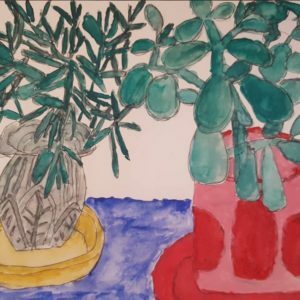 Is there an artist who particularly inspires you, and what qualities do you most appreciate about his/her work? Mary Robison—there’s more on her two questions down. 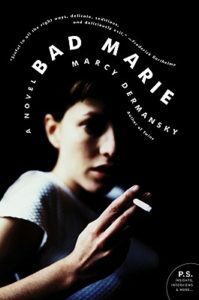 She is an inspiration and so is Frederick Barthelme. I was lucky enough to study with them in graduate school. They are both known as minimalist writers, but there is a lyrical quality to their work, the way they string sentences together, throw in offhand observations. I’ve learned so much from them. What is something you know now about writing that you didn’t know when you were working on your first book? I know that writing is something that I can do. I know that I can start and finish things. This doesn’t mean that everything I write will be a success, but it does mean that I don’t have to think I am crazy to believe I can write a novel. Sometimes I ask myself, on a purely practical level: Why don’t you write more? You can make money if you do this. That is pretty remarkable. Writing novels certainly doesn’t equal making money, but it has worked for me. It is always a gamble, but it is a pretty good gamble for me at this point. Is there a piece of advice that has stayed with you over the years? Mary Robison taught me how to edit my own work. Once, she cut the last line of one of my short stories and it blew my mind. The story was called “Drop It.” In the last line of the draft I turned in, the dog dies. It is hit by a car. Mary cut the last paragraph. So instead, the dog is left running in the street. You sort of know in your gut that the dog is going to get hit, but it also has that open feeling, that joy, the dog running. I have been cutting last lines of my own work ever since. This advice is so ingrained that I’ve gotten to the place where I know not to write them. In my novel Bad Marie, I leave Marie in a bathtub. It’s a lot like that dog before it is hit by a car. I know what is going to happen next. I can imagine the police pounding on the door, but I never wrote that scene. It’s the same thing in The Red Car. I leave Leah at a Bat Mitzvah. She is hungry. I don’t have to show what she is going to eat, or what will happen next. In this case—unlike the dead dog or the police coming—it is going to be good. If you could talk to yourself at any age, which would it be and what would you say? I think I might want to talk to myself right now, in this very moment. I am sitting at the café across the street from my apartment, which is funny because I can actually look at the building where I live. I want to say, Hey, be a little bit nicer to yourself. Or a lot nicer to yourself. Be a little bit prouder of what you have done. I mean, why not? I sort of tend to take my accomplishments for granted. Unfortunately, I had to dither a lot in my twenties to be where I am now, though I sure do wish I had written more when I was younger, so that maybe I could have been nominated for some of those awards that they give only to young writers. What is your relationship to feminism and how has it evolved over your lifetime? I have always been a feminist. My mother is a feminist. She worked for a feminist newspaper called New Directions for Women when I was a kid. She has always been outspoken with her opinions and though sometimes that embarrassed me, I also thought that was the normal way to be. I have never known anything else. There is a picture of me where I am like eight years old, thick bangs, thick eyeglasses, and I’m wearing a pink t-shirt that says Ms. I have always been surprised that women have trouble being identified as a feminist. I feel pretty pleased with Emma Watson and Lena Dunham being so vocal about something I strangely take for granted. In the car recently, I was driving Nina home and somehow I was talking about feminism and she asked what it was. I told her that sometimes women aren’t paid the same as men to do the very same job. She couldn’t believe it. She said, I’m a feminist. It seems like it should be that easy but apparently it’s not. Which books are stacked on your nightstand right now? 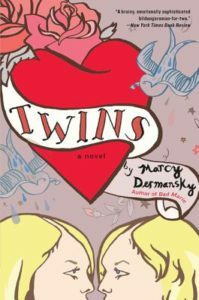 Marcy Dermansky is the author of the critically acclaimed novels The Red Car, Bad Marie, and Twins. 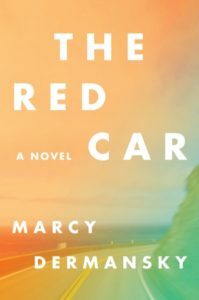 Marcy’s short fiction has been widely published and anthologized, appearing in McSweeney’s, Guernica, The Indiana Review, and elsewhere. 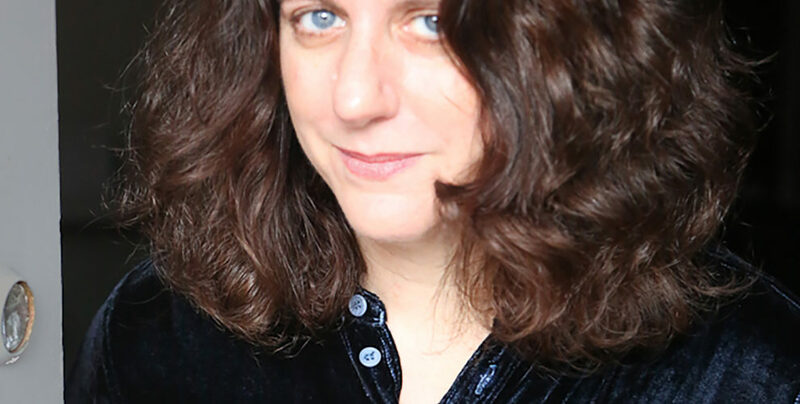 Her essay “Maybe I Loved You” appeared in the best-selling anthology Goodbye to All That: Writers on Loving and Leaving New York.